Another Saturday, another pound cake. I've made it to pound cake #4 in my Pound Cake Month series. 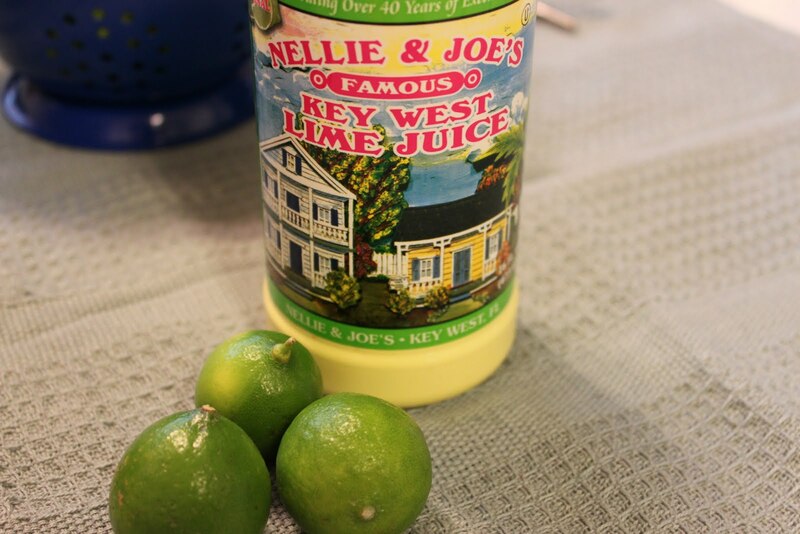 This one has been at the top of my list since I started the series, my new bottle of Key lime juice sitting in the cabinet ready to be called in to action. I couldn't wait to try it. Key lime just screams summer to me and, with 90 degree temps here in Georgia, the weather is screaming it, too. The recipe is from Southern Living. I decided not to add a glaze. The beauty of any pound cake is that it needs absolutely nothing to complete it. It completes me! Preheat oven to 325 degrees. 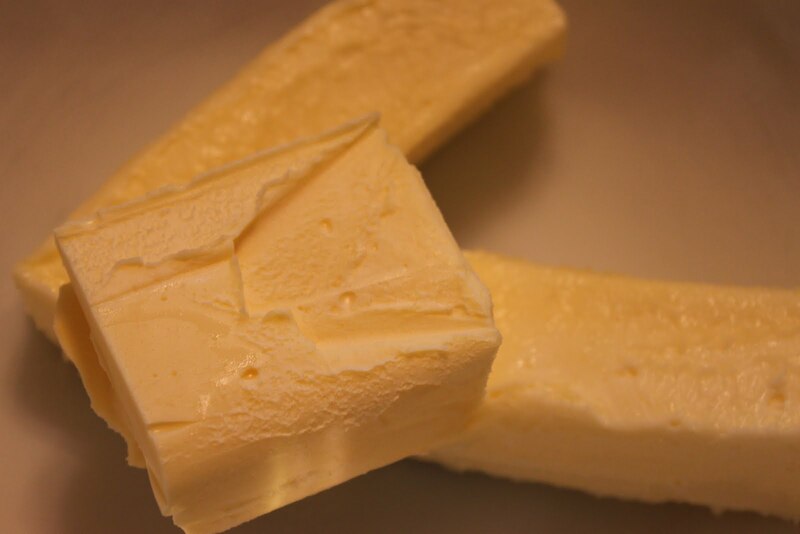 Beat butter and shortening at medium speed until creamy. 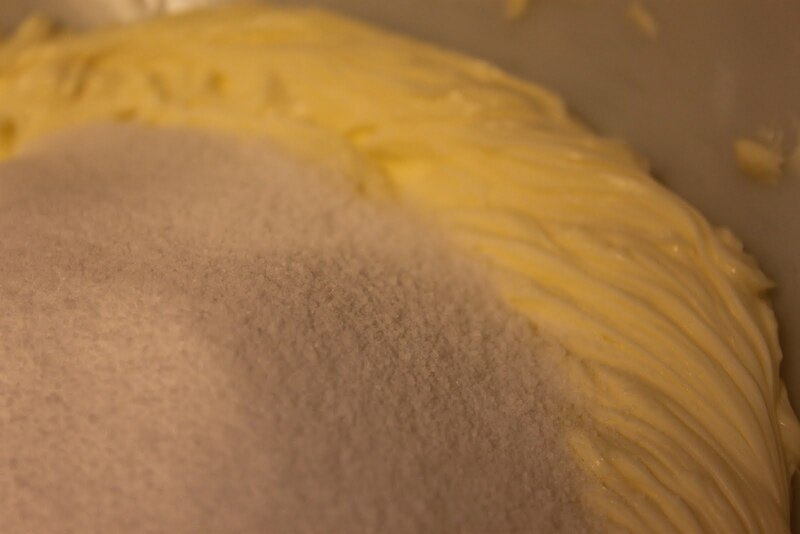 Gradually add sugar, beating at medium speed until light and fluffy. 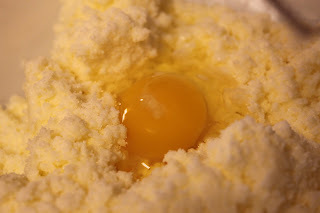 Add eggs, one at a time, beating just until blended after each addition. Bake at 325 for 1 hour and 15 minutes to 1 hour and 20 minutes or until a long wooden pick inserted in the center comes out clean. Cool in pan on a wire rack 10-15 minutes; remove from pan to wire rack. 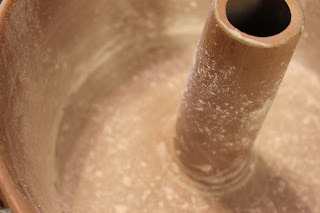 First, I grease and flour my tube pan. 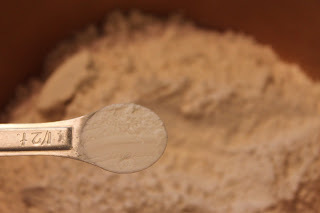 Next, I like to prepare my flour mixture and set aside. I decided to go ahead and get my zest ready, too. 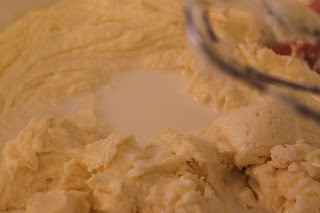 I like everything ready for me to add to the batter. 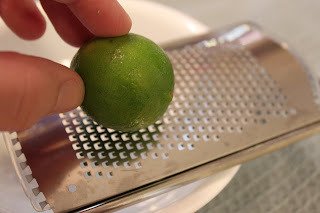 Aren't Key limes the cutest things? It took three Key limes to get one teaspoon of zest. 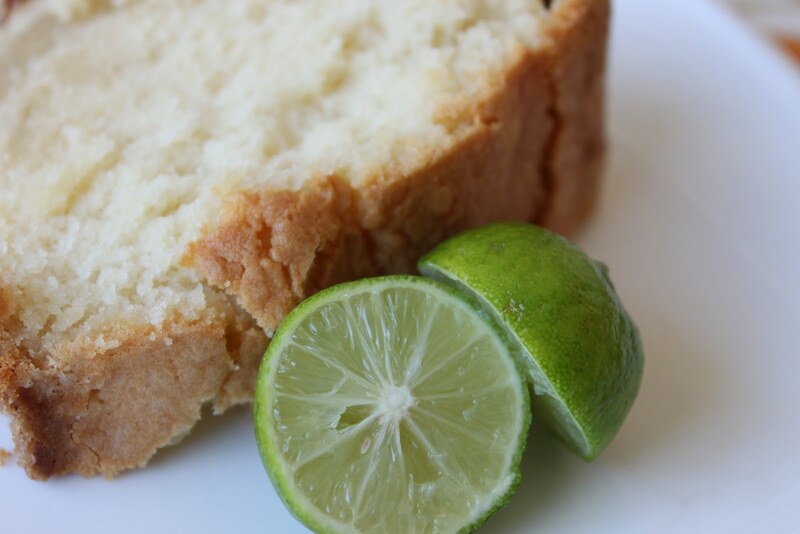 I actually bought the Key lime juice a couple of weeks ago when I was planning out my pound cakes. So, I'll use that in the batter. But, I found these Key limes at Kroger the other day and couldn't resist buying them. Ready for battle - I mean batter! I start by creaming together butter and butter-flavored shortening. Looking good already! I like to leave my butter out overnight to make sure it's completely soft. Next, add the sugar gradually and blend well. 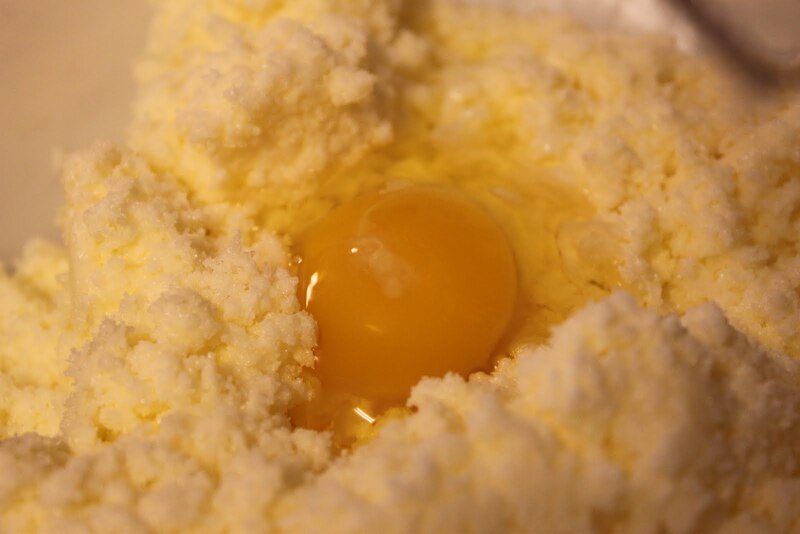 Add the eggs, one at a time blending well after each addition. Time for the flour. 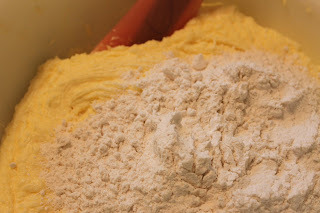 This is 1/3 of the flour mixture. Followed by half of the milk. Repeat these steps then finish with the last of the flour. I went ahead and added the vanilla flavoring, too. 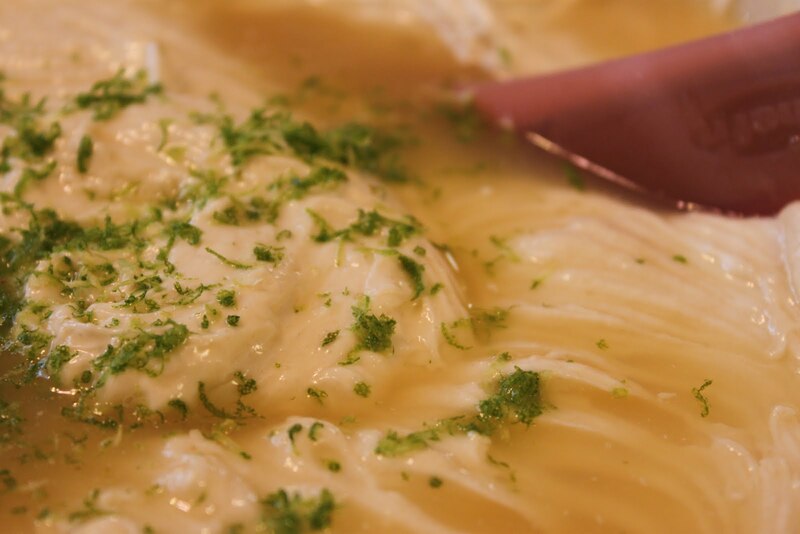 Finally, stir in the Key lime juice and zest. 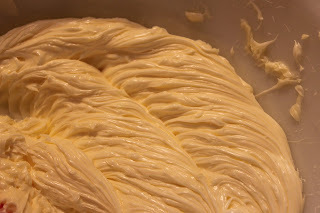 Spread the batter evenly in the tube pan. Put in a preheated 325 degree oven. So, here we go! I baked this cake for one hour and 40 minutes!!! Even though the toothpick came out clean, I think that the cake could have baked for another ten minutes. It looked a little undercooked near the bottom crust. I was not happy about this but it will all be good after the cake has sat overnight. Oh, by the way, pound cakes are at their best after they've sat overnight. I normally don't cut them on the same day that I bake them. 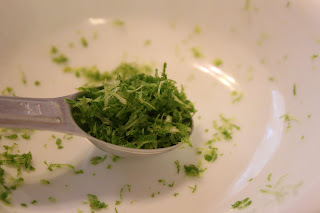 I only cut this one because I needed to get it up on the blog. I knew you were anxious to see it. 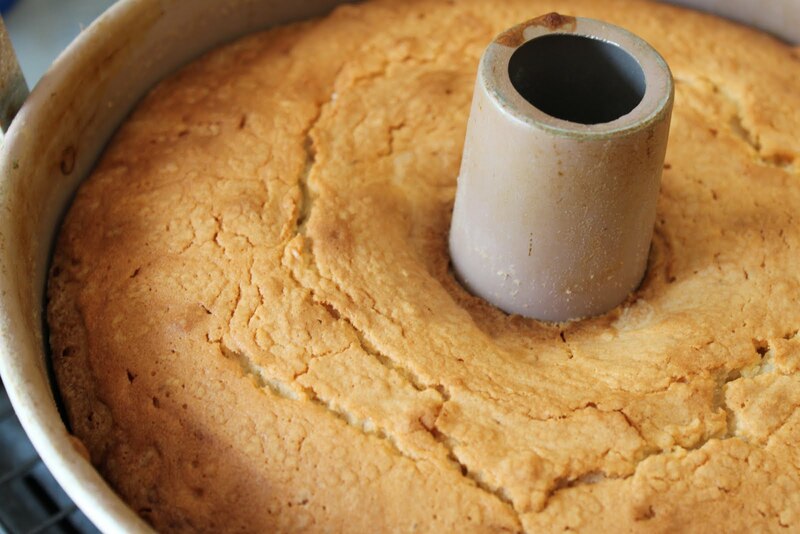 So, try to plan to bake your pound cake the day before you plan to serve it. Trust me, it will be so much better. My husband has been looking forward to this for a while. I think he'll be pleased. Welcome early summer! Oh my, that looks sooooo good!! Papi loves Key Lime Pie so I'm sure he would love this pound cake. It's on my list. Thank you for sharing. Yum..looks and sounds great! I know this will be a big hit here at my house! This would be a great treat on my next 10 pounds lost! 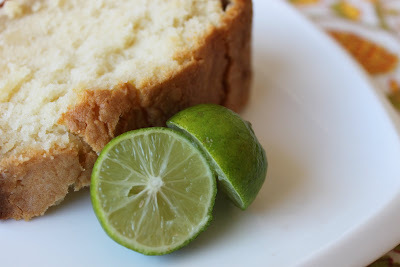 I have always wanted to make a pound cake and this is just the recipe to make me do it! Sounds great!!! I've always been leery of using a pound cake batter for cupcakes since pound cakes are so dense. 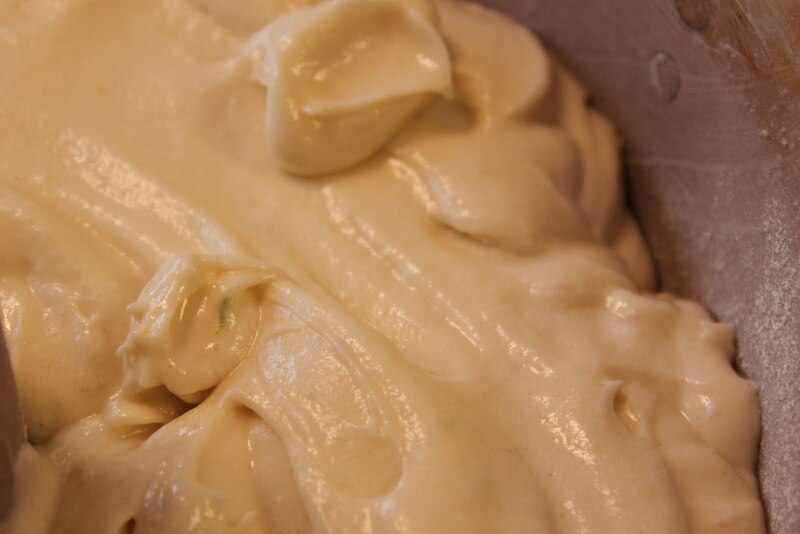 But, this batter makes such a fluffy cake that I think it would make wonderful cupcakes. Just add a light glaze. Hmmm...sounding better and better. Visitng from Sweet Tooth Friday! Great post! I'm your newest follower. I now want pound cake. Was there any leftover? Yes, I have leftovers. Plus, I just took another pound cake out of the oven. It's been quite a fattening month here on the blog! Yum, keep your tasty pound cakes coming. Thanks for linking up to Sweets for a Saturday. That sounds so good! What a great twist on pound cake. I have been craving something with Key lime forever, so I am going to try this! P.S. I am having a giveaway at my blog, it is the cutest and most practical diaper bag you have ever seen! Come on over and enter to win! your pictures are as awesome as your recipe! I plan to make this for an Easter Treat. Once again your pound cake has made it to the Top 5 for Sweets for a Saturday. Congrats!!! Thanks Lisa! So glad to hear I made it to the Top 5!! That looks easy and tasty!